U.S. and Israeli officers broke ground in Israel on Monday for a permanent U.S. Army base that will house dozens of U.S. soldiers, operating under the American flag, and charged with the mission of defending against rocket and missile attacks. Al Tabaqah was a Syrian military air base before revolts ended the hold. U.S. also has special operations forces along the Jordan- Iraq- Syria borders in Al Tanf, a crossing where Syrian revolt groups are trained. The U.S. military presence in Deir Ezzour and in Al Tanf have “sandwiched” this area, impairing Iran’s efforts to build the bridge connecting Iran with the Mediterranean. 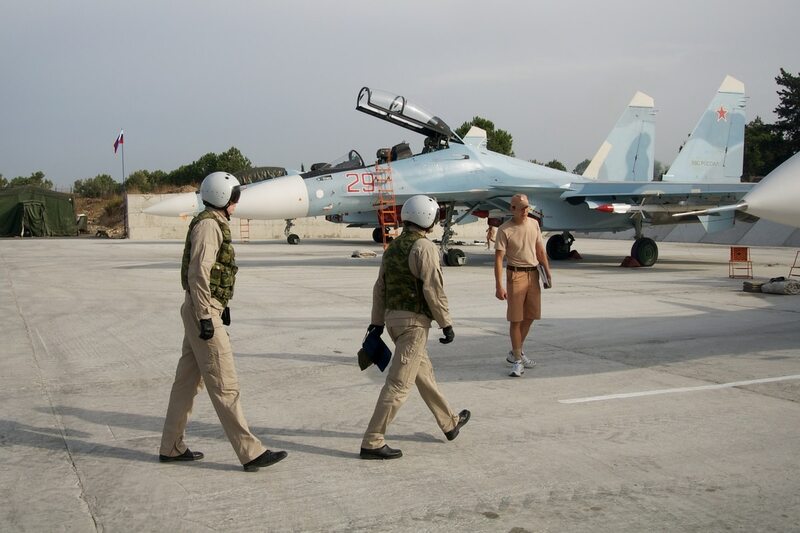 By comparison, Russia has two permanent military bases in Syria – an air base in Hmeimim and a naval base in Tartous. “Russian officials want an immediate exit from Syria because they are aware that if the region’s dynamics are altered, Russia will encounter guerrilla warfare against its presence in Syria,” said Elias Hanna, a retired general of the Lebanese Army, pointing to an attack on Hmeimim by drones from a distance of 50-100 km away Jan. 6. “It is impossible for an ISIS member to design a drone [able to] travel 50-100 km,” he added. “It needs the capabilities to connect to satellites and GPS” – which is a grave concern to Russia. After the attack, Russia’s Defense Ministry insinuated the U.S. was involved, saying that the data for the attacks could only have been obtained “from one of the countries that possesses know-how in satellite navigation,” and calling it a “strange coincidence” that a U.S. military intelligence plane was flying over the Mediterranean near the two Russian bases at the moment of the attack. The Pentagon strongly denied any involvement. The West tends to ignore the success of the Russian military intervention in Syria, and pays little attention to the various aspects of Russian military activity in that country. Clearly, this is not a pleasant topic for the Western political and military observers whose predictions that Putin would get bogged down in Syria have proved wrong. Katicha stressed the strategic influence of Syrian ports that constitute a linking point for trade between the Mediterranean and the Middle East. Agnes Helou writes about Middle East defense. In addition to contributing to Defense News, she is a reporter at SDArabia, an Arabic security and defense magazine and website www.sdarabia.com.